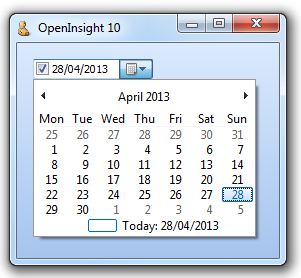 Another Windows Common Control exposed by OpenInsight 10 is the Date and Time Picker (DTP) control. This presents a simple interface for a user to enter date and/or time information in a standard or custom format. It also provides an option to display a drop-down calendar for picking a date. This property is an RGB color value that specifies the background color displayed between months of the drop-down calendar. Setting this property has no effect if visual styles are enabled. This property specifies the font of the drop-down calendar – it has the same structure as the regular OpenInsight FONT property. 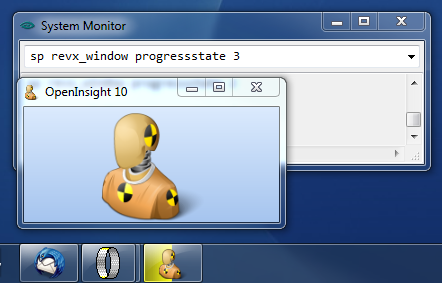 Setting this property has no effect if visual styles are enabled. This property is an RGB color value that specifies the text color of the drop-down calendar. Setting this property has no effect if visual styles are enabled. This property is an RGB color value that specifies the background color displayed within the month of the drop-down calendar. Setting this property has no effect if visual styles are enabled. This property is an RGB color value that specifies the background color displayed in the title of the drop-down calendar. Setting this property has no effect if visual styles are enabled. This property is an RGB color value that specifies the text color displayed in the title of the drop-down calendar. Setting this property has no effect if visual styles are enabled. This property is an RGB color value that specifies the text color used to display the header day and trailing day text in the drop-down calendar. Setting this property has no effect if visual styles are enabled. This is a boolean value that specifies if the DTP checkbox is ticked. It only applies if the DTP control contains a checkbox (see the CHECKBOX property below). This is a boolean value that specifies if a checkbox is shown within the DTP control. Normally the DTP control always contains a date/time value (i.e. it is never considered empty). However if a checkbox is shown then it is only considered to contain a valid date/time if the checkbox is ticked (see the CHECK property above). The FORMAT property (see below) can be used to specify one of these. However, it is possible to use a custom format and this can be set using either a standard Windows format string or a standard Revelation Date and Time IConv/Oconv format (“D”, “DT” and “MT”) which sets the underlying Windows format appropriately. e.g. “D4/E” will be translated to “dd/MM/yyyy” and so on. Where date is the number of days elapsed since 31/12/1967, and time is the fraction (percentage) of the day that has elapsed. 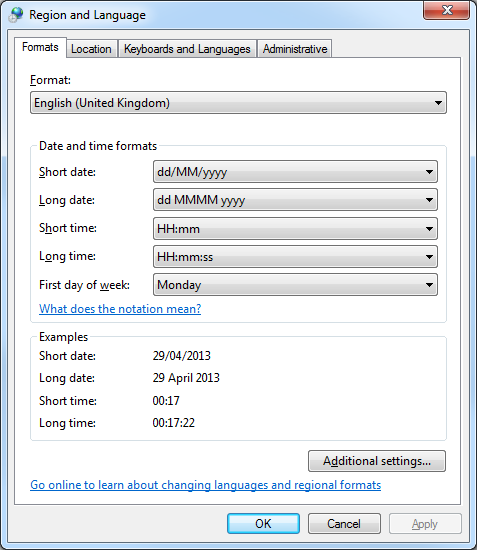 By default the DTP control displays a button to access a drop-down month calendar for modifying the date. 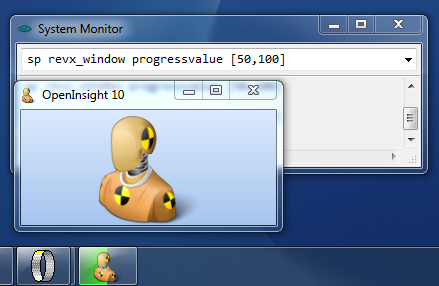 Setting this property to TRUE (“1”) displays a Windows UpDown control to modify date-time values instead. While the TEXT property is supported the VALUE property should be used to access the DTP date-time values to avoid possible complications with custom formatting strings. This method simply closes a dropped-down month calendar. It takes no arguments. This entry was posted in Presentation Server and tagged Controls, DATETIME, Methods, Properties on May 29, 2013 by Captain C.